ISRO is planning to launch eight micro satellites on a single PSLV in future, said Dr.M. Annadurai, Director, ISRO. 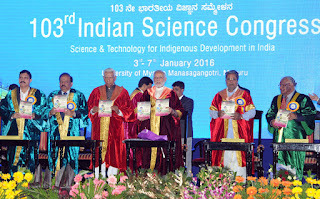 He was addressing a session on the topic “Future Satellite Programme” in the plenary of the 103rd Indian Science Congress at the University of Mysore, today. In this new global era where everything is becoming smaller in size and smarter in application we are also trying to reduce the size of satellites to the extent possible. The vehicle configuration for PSLV of 400km Space Shuttle Orbiter (SSO) is 1200kg. The number of micro satellites that can be carried in single mission is eight, each weighing about 120kg with total payload capacity 960kg, he added. He pointed to the fact that, present domestic satellite communication is dominated by Fixed Satellite Services and Direct to Home Services and the future service growth areas will be communication satellites for internet, multi-media and personal communication services, direct to home high definition TV services. Apart from that, Thematic missions such as Tele-medicine and Tele-education, bandwidth on demand services, E-Governance, secured communications and satellite aided navigation are expected to grow, he added. He stressed the need for production of Space Systems to meet the huge demand for satellites and also to strengthen basic Research and Development. This will boost the increased participation of Indian industries in Space Programme in the areas of electronic systems, mechanical systems, assembly, integration and testing of satellites. Focusing on “Make in India” concept for end-to-end production of satellite from industries within the country would help us to achieve further self reliance. The other resource persons of the plenary talk were Dr. Vinay K Dadhwal who briefed the gathering on the dimensions of Indian Space Programme and outline of Earth Observatory, Dr. S. K. Shivakumar on the topic “Mars Orbiter Mission- overview”, Dr. V. Koteswara Rao on the topic “ASTROSAT- A multi wavelength Space Observatory”and Dr. S Somanath on the topic “ISROs Launch Vehicles- Growth of Capability”. Prof. D N Rao, Chennai, chaired the programme. Delegates, students and participants from various states and countries enthusiastically participated in the session. 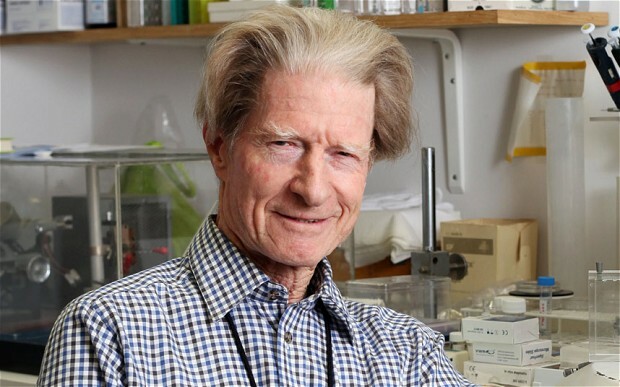 “Communication today is almost instantaneous, and this is the contribution of Science and Technology to the world” said Noble Laureate, Prof John. B. Gurdon during the inauguration of 23rd Rashtriya Kishore Vigyanaik Sammelan (Children Science Congress) at the Indian Science Congress being held at University of Mysore in Mysuru today. Explaining various developments resultant of Science, he said that there was a time when we used to communicate through post, but today communication has become spontaneous and almost instantaneous. Right from Television to genetically modified crops one can see enormous development in the field of Science. Science and Technology has completely changed the lives of people and these innovations are the best example, he opined. He also said that during First World War, people died due to flu and discovery of antibodies to fight this is the greatest contribution of Science and Technology. Cars today can be driven without drivers, and small piece of skin can be cultured to become different parts of the body, So much has happened in past 50 years that one can even enjoy thinking about the innovations that can happen in next 50 years. Philanthropy should also be the concern, as different universities can provide education to the young and needy he concluded. In his key note address, Vice Chancellor of Mysore University K S Rangappa said that young scientist are cutting all barriers like caste creed and color and are coming up with innovations. In the memory of late Former President APJ Abdul Kalam, monthly newsletter Billion Beats was released by the dignitaries which carried articles written by children across the country. Infosys ISCA Travel Awards were given to students who excelled in essay competition conducted by NCSTC, Jahawar Navodaya and NCERT. Five students from Karnataka and five students from other parts of the country got awards. Union Human Resources Development Minister Shrimathi SMRITI IRANI says what we need today is ‘Science for Everyday Women’. 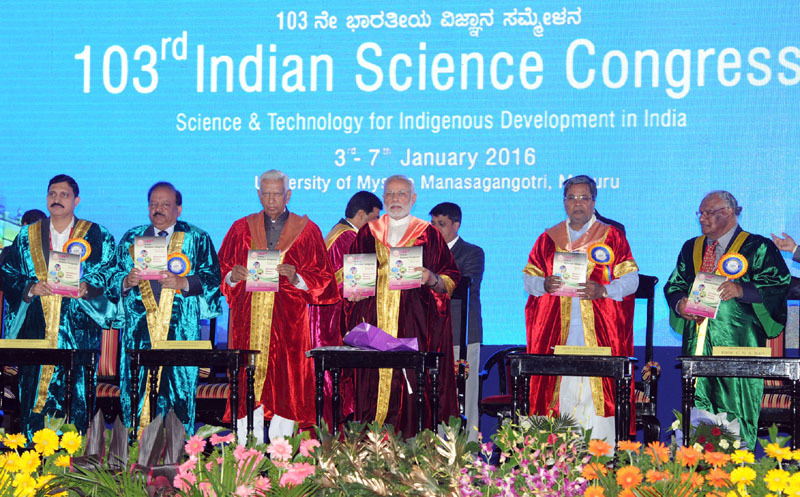 Inaugurating the 5th Women’s Science Congress at 103rd Indian Science Congress at University of Mysore today, she said the most fundamental challenge today is to overcome unvocal prejudices against women. Commenting on prejudices we carry as a society she commented that, Science does not seem to be teaching us to overcome these prejudices even while it enriches our knowledge. While mentioning women’s contribution in all spheres of life Mrs. Irani said, we easily recall names of the scientists who are men and very hardly do we remember any women’s contribution in the field of Science and Technology. This calls for addressing the challenges at the school level, where she called upon teachers and academicians to enlighten our future generations about the contributions of Indian women in the field where she remarked that, it is very sad that women are at the crossroad where either they have to choose family or higher education. She also referred to paucity of women teaching staff in the academia. Mentoring girls to be a part of India’s scientific journey will effectively address this challenge and urged the women’s science congress to ponder upon these and come up with suggestions. Union Minister for Science and Technology and Earth Sciences, Dr Harshavardhan today unveiled a sequence of research outcome initiatives at CSIR - Central Food Technological Research Institute (CFTRI) in Mysuru today. The Minister launched the project for establishing an integrated Sugarcane Juice Processing and bottling unit in the campus. The two tons per day plant will be commissioned in 90 days which will be ‘Drive-in Plant’ for sugarcane farmers of the nearby region. CSIR-CFTRI has developed and patented a technology for bottling sugarcane juice with 4-months of shelf-life which has been commercialized by over 20 odd entrepreneurs. The beverage which is natural with multitude of health benefits has the potential to dominate the emerging wellness market. The unit has taken shape under the rural development programs of CSIR and soon such a unit will be replicated in association with farmers’ cooperatives and SHGs in other sugarcane growing regions. He also released carbonated fruit juice products based on grape, apple and pomegranate with 20% fruit juices. Earlier the Prime Minister had asked multi-nationals to mix their carbonated drinks with fruit juices to help fruit farmers of the country. Now the laboratory has come forward with a viable process which can help the country towards ‘Yellow Revolution’. “CSIR is committed to transform India as a global hub for wellness foods” Dr. Harsh Vardhan asserted. The Minister also inspected the facilities at the first nutraceutical incubation centre of the country being set up at CSIR-CFTRI along with an entrepreneurs cell. The ‘Nutra-Phyto Incubation Centre & Common Instrumentation Facility (NPIC-CIF), established in the campus in collaboration with Government of Karnataka would facilitate discovery and development of new products/innovative technologies by providing world-class laboratories, Pilot Plant facilities, analytical testing and safety studies for promoting entrepreneurs, SHGs and SMEs. Though start-ups are common with e-commerce and IT services, such enterprises in the areas as healthcare, agriculture, food sector and clean energy are just picking up. As food alone is unable to meet all the nutritional needs of the body, supplementation with non-nutrients such as antioxidants, pre-biotics and probiotics have become essential. And the abilities of many nutraceuticals to influence chronic diseases are to be considered as a great opportunity for the treatment. Presently, in the world market India’s share for nutraceuticals is less than 1%. Large number of nutraceuticals are imported and it is highly costly. More concern is also about unproven health claims and benefits of these products. This proposed centre is expected to give a boost in taking the traditional and non-traditional nutraceuticals into global market with proven scientific evidence. Inaugurating a One Day CEOs Meet of the food sector, at the CFTRI today, with a theme ‘catalysing Make in India for growth in agri-food processing’, Dr. Harsh Vardhan assured that the deliberations from the Meet will be taken up in the Ministry for appropriate intervention for enabling a robust growth in food processing sector. A total of 50 CEOs from leading industry attended the meet. As the make in India aims at increasing the current level of food processing of 10% to 25% by 2025, linkages with R&D is crucial for industry for transforming the country as a emerging hub for future growth. Sessions at the Meet focused on constraints faced by industry, enabling policy initiatives by Government, Potential for startup ventures in this sector and regulatory issues along with R&D Industry linkages. Dr Harshavardhan said that government will support the entrepreneurs in all possible ways to market their products. He said that, all innovators, CSIRs and CFTRI researchers are now focusing on sharing technologies to reach the general public. The Minister earlier inaugurated the Centre for Food Nano Technology and the ‘Make in India Food pavilion’ at CFTRI Campus. The Centre for Food Nano Technology would help to accelerate the applications of nanotechnology in food that have relevance in the food industry and consumer market at large. CSIR-CFTRI, being a pioneer institute in the area of food research, can play a significant role in developing advanced processes and products for nanodelivery of food bioactive compounds with improved stability and bioavailability via nanoemulsions, solid lipid nanoparticles, liposomes or biopolymer based nanoparticles. Later addressing the media, Dr Harshavardhan said that the union government is committed to transform India as a global hub for wellness food. Currently India processed only 2.2% of the total production which is far less compared to USA, Philippines and China. Almost 35% of fruits and vegetables are wasted because of the lack of processing and storage capabilities. As the market for soft drink is growing at 30% annually with a whopping 25000 crores for carbonated drinks, this research outcome has immense possibilities in the consumer segment, said the minister who tasted the carbonated drinks and other products which are ready to enter into the market very soon.